Barys’ new player is the League’s tallest player, a young defenseman moves to Cherepovets, and Green Derby rivals swap centers. KHL.ru tells you about last week’s top transfers. Just as it was last year, after the first Euro Hockey Tour pause, Barys had a downturn. After losing a few games – and willing to avoid other losses – the Kazakhstani club bosses decided to strengthen up the roster. Considering the many goals the team allowed of late, it’s quite logical to test the market for a defensive defenseman. 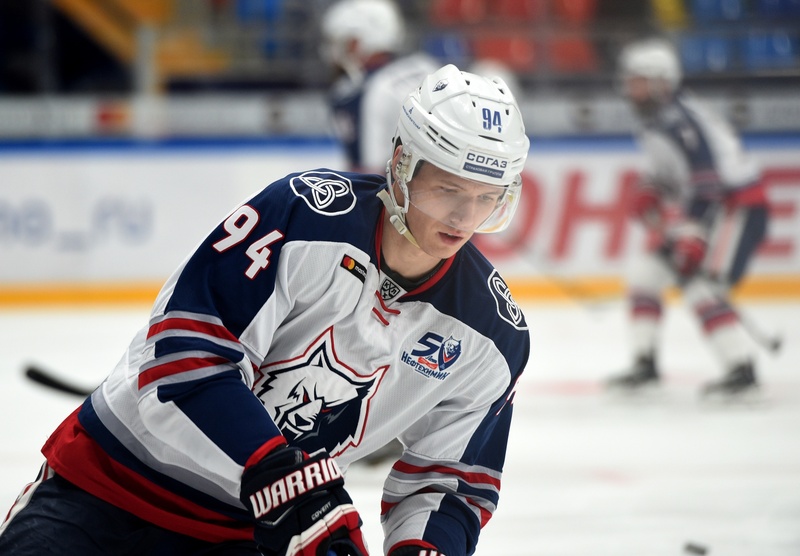 Barys decided to sign Viktor Svedberg. Last year, the Swedish defenseman had his best year in his North American stint: He scored 24 points, and with a plus-18 rating he was among the best in Chicago’s farm team in the AHL. However, he didn’t play with the Blackhawks for the latest two years, and thus he finally moved to Europe. 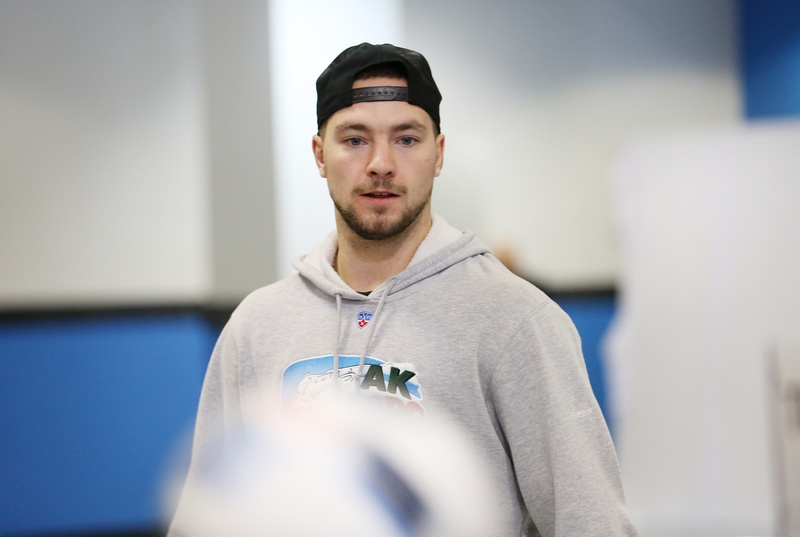 He joined the KHL through Sweden, as he played seven games with Linkoping before heading to Astana. In the Kazakhstan capital, he will join Henrik Karlsson and Andre Petersson. Also, he stripped Marko Anttila of the tallest player in the league honorary award, with 204 cm, one more than the Jokerit forward. The main news from last week on the transfers front was the trade between Salavat Yulaev Ufa and Ak Bars Kazan. Such an event is pretty rare, considering the rivalry between the teams. Three players moved from Ufa to Kazan, but Alexander Lyakhov only this year did he debut in the KHL, while Sergei Kuvardin is still too young to play against seasoned pros. But Vyacheslav Osnovin is already on another level. He won a bronze medal at the 2014 WJC in Sweden, played for CSKA under Dmitry Kvartalnov and was one of the top scorers in Novosibirsk. Considering that it’s not always easy to find a good center, often Osnovin is at the center of many attentions. He didn’t pay his best hockey in Ufa, even if he had many chances to play with highly-qualified players. In Kazan, he may end up with a supercharged heart and turn things around. In the end, the highest-profile player moved in the Ak Bars-Salavat Yulaev trade was Alexander Burmistrov. And not only because Salavat Yulaev renounced to three players for him. Burmistrov is the first Kazan-trained player to play in Ufa in sixteen years. Burmistrov never managed to fulfill his potential completely, but he won a Gagarin Cup with Ak Bars last year. However, he wasn’t a key player, and his numbers weren’t impressive – a situation similar to what Osnovin was living in Ufa. In his first game with his new team, Burmistrov played on a line with Vladimir Tkachyov and Nikita Filatov, being the second most-iced forward of his team in time on ice. 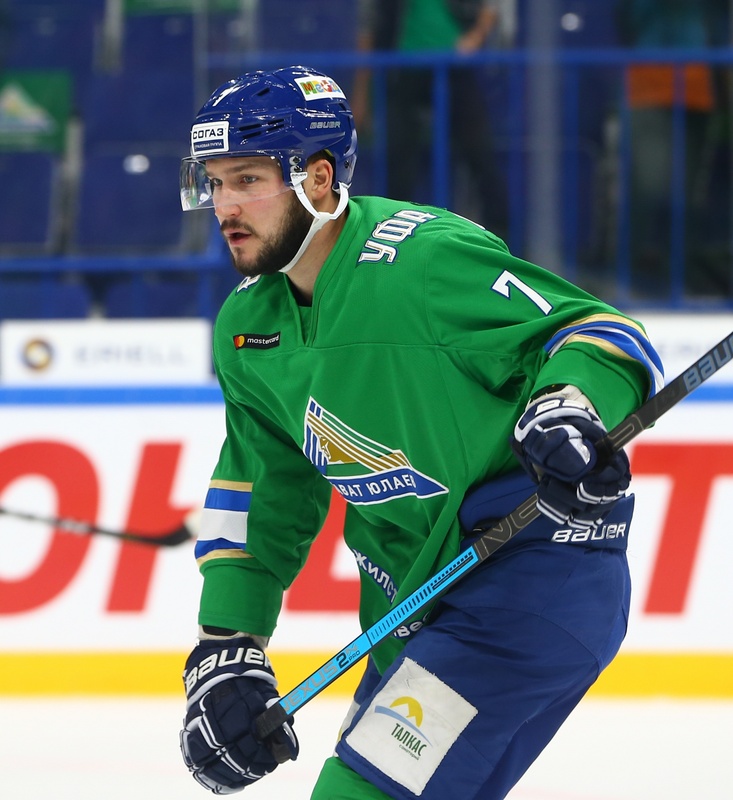 He couldn’t beat Igor Bobkov, though, as Salavat lost to Avangard with a 1:0 score. Former head coach Andrei Skabelka didn’t last long in Omsk. However, traces of his job can be seen even today. One of the most positive aspects of his stay in Siberia was his work with younger players, like Ilya Mikheyev and Semyon Koshelev. One of the players who had a significant role with Skabelka, but couldn’t repeat themselves under Bob Hartley is Maxim Mineyev. The defenseman – who played a lot under Skabelka, even getting iced in power-play situations – played only one game this year before getting traded away. In the game against SKA, the defenseman played only three shifts. Mineyev spent most of the season in Khanty-Mansiysk, Avangard’s farm club. The acquisition of Mineyev was one of the first transfers completed by Mikhail Scherdin, Severstal’s new GM. 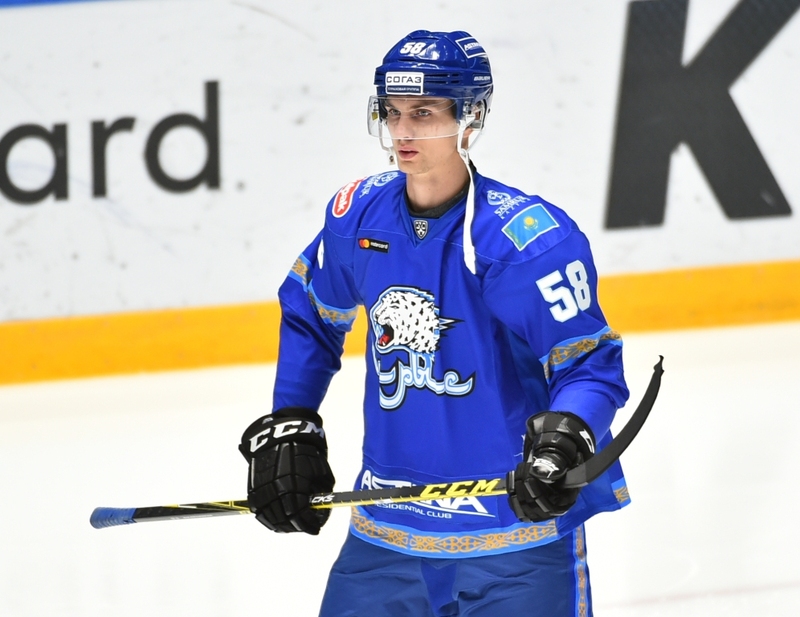 In Cherepovets, Mineyev played more than 23 minutes in his first game and under Andrei Razin, who’s known for his ability with young players, can develop even further. 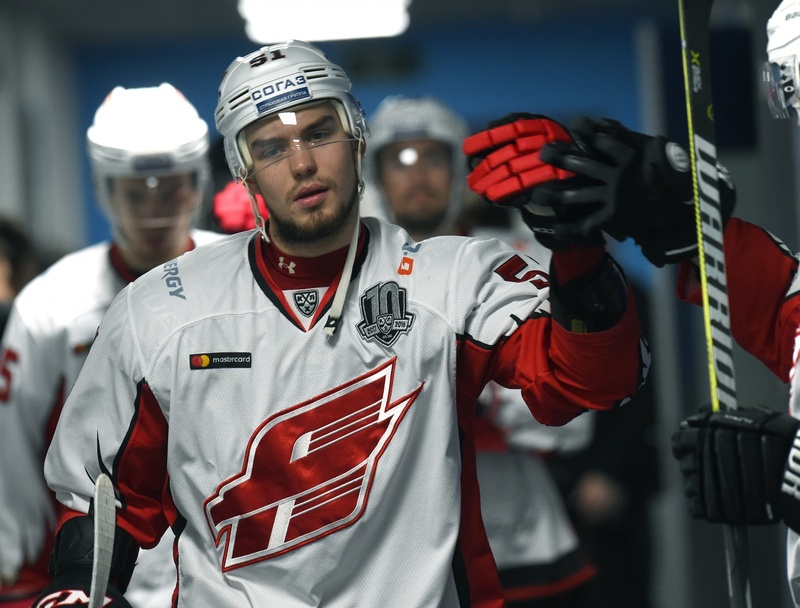 Last week, Avangard strengthened his roster with some new players. Ivan Nalimov is on a try-out so far, but Bogdan Yakimov was signed to a full-time contract. The Siberian team didn’t miss the chance to ink a still young free agent. Yakimov is only 24 and has a lot in front of himself. He was waived by his previous team – Neftekhimik Nizhnekamsk – and sent down to the VHL, where he, however, didn’t land. Bob Hartley has now at his disposal a big body to use as a joker for his fourth line, more or less what he was doing already in Nizhnekamsk. However, in the 2013-2014 season, before leaving for North America, Yakimov seemed destined to play in much higher lines. The then-20-year-old Yakimov scored a dozen points for Neftekhimik and participated in the WJC. He even played in the NHL with the Edmonton Oilers, but in two years in the AHL, he didn’t progress as expected. Moreover, those 12 points are still Yakimov’s career-high in the KHL.